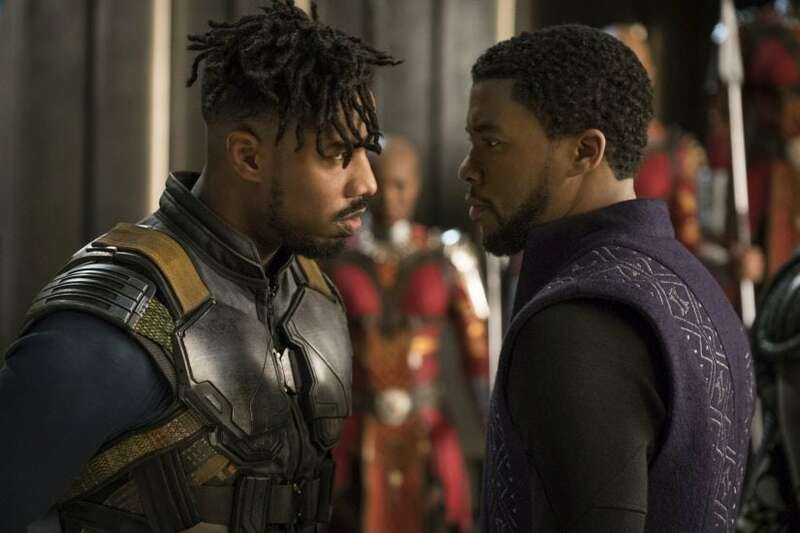 As the US kicked back for a long President's Day weekend, Disney's Black Panther got off to a superhero start in the North American box office, rocketing to the top spot with estimated earnings of $218 million, estimates showed on Sunday. That number means that Black Panther, starring Chadwick Boseman and directed by Ryan Coogler, has doubled its original tracking in less than a month, Variety reports. 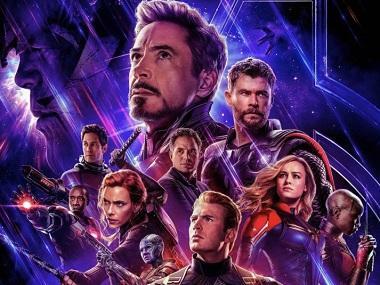 The film, which carries an estimated $200 million production cost, had been tracking to bring in between an impressive $100 and $120 million when first estimates emerged on 25 January. Since then, Black Panther has become a must-see movie for many moviegoers, underlined when Thursday previews brought in $25.2 million, the largest Thursday night preview gross for a February opener and the second-largest preview gross for a Marvel film. Black Panther’s estimated three-day gross of $192 million is the highest debut ever for a February film and the fifth highest of all time. Combined with an estimated international debut of $169 million from 69 percent of the international market, the estimated global debut stands at $361 million through Sunday. Black Panther has demolished the record for the largest President's Day weekend, blowing past Deadpool‘s 2016 mark of $152 million. Overall North American movie-going for the four-day period should hit $300 million — far above the $278 million mark in 2016, according to comScore. Boseman portrays King T‘Challa, ruler of Wakanda, a technologically advanced society, who conflicts with Michael B. Jordan’s Eric Killmonger, who intends to take over the throne. Letitia Wright, Lupita Nyong‘o, Angela Bassett, Danai Gurira, and Daniel Kaluuya also star. It has received an A+ CinemaScore, the only Marvel film to have done so besides 2012’s The Avengers. While the movie sure is going strong at the box office, it has also received rave reviews for its stereotype-busting portrayal of Africa. Even Oprah Winfrey was all praises for Black Panther and the talk show host and actor has called the Ryan Coogler-directed film a "phenomenal" piece of work. 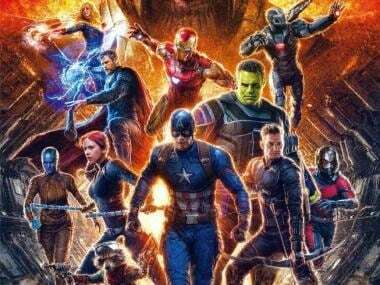 The 64-year-old media mogul took to Twitter to laud the Marvel movie calling it a multi-layered masterpiece. The film has resonated with not just African-Americans but Africans as a whole. Film fans, actors and comic enthusiasts in Nigeria’s commercial capital Lagos have been flocking to screenings of the new Marvel film. Nigeria, Africa’s largest economy, is also a cultural powerhouse that boasts the continent’s biggest film industry, known as Nollywood. Lagos is the country’s filmmaking hub. At a screening of Black Panther on Friday in Lekki, an upmarket district of Lagos, Nollywood stars mingled with TV personalities and locals. The showing was one of a number of screenings in the city this week. Most people were dressed in traditional Nigerian robes and gowns, with some opting to wear specially made attire in keeping with the film’s futuristic take on African garments. Bolaji Kekere-Ekun, a 33-year-old filmmaker, told Reuters, “Black Panther is a film that celebrates black excellence. Bringing it to Nigeria is especially exciting,” before adding, “The people who made the film were very specific about the references they used in relationship to Africa. They are pulling from the best fashion and art." The portrayal of Wakanda as a futuristic, wealth-laden nation was welcomed by local actress Ijeoma Grace Agu, who used body paint and a two-piece outfit as a homage to the film’s fashion aesthetic and said she was excited to watch the film. “For once we are not just dressed in slave clothes or doing slavery or brutality. For once we are dressed in good clothes,” said Agu. “Seeing us exude power and strength, seeing our culture, our high fashion sense portrays us in a different light." Many agree it's an important moment in popular culture. Brian Barasa, a 29-year-old Kenyan who says he has loved comic books for as long as he can remember, told AFP, "As I was watching the movie with friends, I remember we all felt part of history. This is beyond a movie. This is huge." Kenya film-maker Jinna Mutune, 29, believes the film has achieved its aim of showing African culture in a positive light but that more black-focused movies need to be produced. "(It) is definitely filling a huge gap," she said, but added: "We need more and more and more Black Panthers."